Have I told y’all Burke refers to Goodwill as “The Book Store“? What can I say? I love books, he loves books, and we rarely leave a thrift store without a few literary masterpieces (or Sandra Boynton board books) for his little library. I also love perusing the book section for books that can be repurposed into decor (like Piper Jane’s name sign or Burke’s shelves) and party goodies. One day last fall I found a beat up vintage-y Cat in the Hat and knew exactly what to do with it! This bunting was the perfect accent for the Cat in the Hat shower… and in ‘normal life,’ it’s the perfect decor for Burke’s playroom. 1. Find pages that are mostly illustration (not mostly words) and tear out (in my case, the book was beat up enough that the pages were just sitting in there, so no ripping necessary). 2. Fold the pages in half. 3. Using a paper cutter, cut from each top corner down to fold in the middle of the bottom of the page. Make a whole pile of triangles. 4. Fold your ribbon in half. Pin the top edge of each triangle in the crease of the ribbon. Stitch in a line to secure in place. 5. 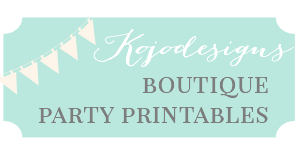 Find a party or a playroom to decorate… fabulous! I love this so much, but don't know if my heart can handle cutting up a book….I would be so torn! SO CUTE!!! What a great idea! But since my boys are older (read all teen/preteen…) I think we will use an old map book. We even have one of Europe! Thanks for the great idea… Now to actually get started on it. In fact this sounds like a great first sewing project for our eldest as our middlest had to make something for class last year.!!! What a neat idea! Love all the bright colors! love it!!! can't wait for you to decorate for me someday!!! Just wanted to let you know that I am your latest follower! LOVE LOVE LOVE your blog – you are a crafty Superwoman! Such a cute idea. So inspiring, too. Fabricaholic, I agree that cutting up a book is painful. However, I know I have at least two picture books at home that have been torn so badly they are no longer repairable, yet I haven't tossed them because I love the colors of the illustrations and have such fond memories of the books. Maybe now I can give them new life! This is GORGEOUS. I'm going to be keeping my eye out for some vintage books at the library to do this with – this project (and the whole shower) just rocked my world.